Our friend Magali Delhaye spotted this piece of information in today´s Europa Midday Express and thought it might be of interest-- which it certainly is, being related to an earlier IP Finance post, "European Commission looks to level the playing field -- and the "paying field"", which appeared here last week. The European Commission is asking France and Luxembourg to amend their VAT rates on electronic books (e-books). Since 1 January 2012, France and Luxembourg have applied a reduced rate of VAT to e-books, which is incompatible with the current rules under the VAT Directive. 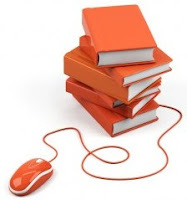 Under the Directive, e-books constitute electronically supplied services, and application of a reduced rate to this type of services is excluded. This situation is creating a serious distortion of competition to the disadvantage of operators in the 25 other Member States of the Union, as e-books can be easily purchased in a Member State other than that in which the consumer is resident, and current rules provide for application of the VAT rate in the Member State of the provider rather than that of the customer. The Commission has received complaints from a number of Ministers of Finance highlighting the negative effect on book sales in their domestic markets. The Commission is aware of the different treatment being applied to e-books and printed books and notes the importance of e-books. Under the new VAT strategy, the Commission has opened this debate with the Member States and should put forward proposals before the end of 2013 (see IP/11/1508). In the meantime the Commission, as guardian of the treaties, requires Member States to respect the VAT rules they themselves unanimously approved. The Commission has therefore issued reasoned opinions to the two Member States. This is the second stage in the infringement procedure following the letters of formal notice sent in July 2012 (). The two Member States have one month in which to bring their legislation into compliance with EU law. Otherwise, the Commission may refer the matter to the European Court of Justice. (References: IN/2012/2098 and IN/2012/4080). (for more information: E. Traynor - Tel. +32 229 21548 - Mobile +32 498 98 3871)”.